Is your love of coffee hard on your heart? And do you wonder if drinking it is helpful or hurtful? I love coffee and I love tea and want to share with you the good news that coffee, in moderation, can actually benefit your health. Tea and coffee, the most popular beverages in the world, have been consumed for thousands of years for their alluring flavors and health benefits. Polyphenols, particularly flavonoids and phenolic acids, are of great abundance in tea and coffee and contribute a lot to their flavor and health properties. Itwas associated with a statistically significant lower risk oftotal stroke, cerebral infarction, and subarachnoid hemorrhagebut not intracerebral hemorrhage. There is evidence that habitual coffee consumption is not associated with increased risk of cardiovascular diseases or premature mortality among diabetic women. A systematic review supports the hypothesis that habitual coffee consumption is associated with a substantially lower risk of type 2 diabetes. Evidence has been accumulating that frequent consumption of coffee may reduce risk of type 2 diabetes and liver cancer. 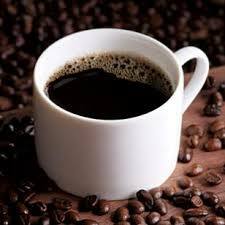 For adults consuming moderate amounts of coffee (3-4 cups per day providing 300-400 mg/d of caffeine), there is little evidence of health risks and some evidence of health benefits. However, some groups, including people with high blood pressure, children, adolescents, and the elderly, may be more vulnerable to the harmful effects of caffeine. In addition, evidence suggests that it may be prudent for pregnant women to limit coffee consumption to 3 cups per day providing no more than 300 mg/day of caffeine to exclude any increased probability of spontaneous abortion or impaired fetal growth. Enjoy a cup of coffee and reap the health benefits.